Kimora knows that in today's ultracompetitive world, it's not enough for women just to be smart or dress well. With too much to do and competition everywhere, the savvy woman must know how to combine feminine glamour with professional power, business ambition with personal values, and confidence with heart. Kimora is the living picture of all these things. What are Kimora's secrets to achieving her goals, her signature fabulosity? One is her ability to identify and build upon her own unique talents and strengths. In Kimora's case, she brilliantly combined the two worlds she knows best -- the high fashion and hip-hop scenes -- to create Baby Phat, her ultrasuccessful hip-hop inspired lifestyle brand. Whether you're college-educated or street smart, just starting out or at the top of your game, Fabulosity has something to say to you. Learn how to cultivate Power, Independence, Confidence, and Positivity in everything you do, whether it's finding Mr. Right, snagging that corner office, or rocking the latest fashion trend. 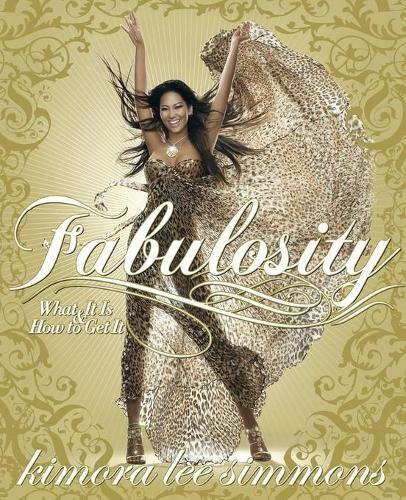 Packed with useful lessons and Kimora's personal tips, this book will be your instruction manual to empowering yourself, turning your individual talents into permanent success, and unleashing your inner fabulosity.